Only 100 sets of the cufflinks have been produced of which a small number is now available for sale exclusively on JamesBondLifestyle.com (visit order page here). 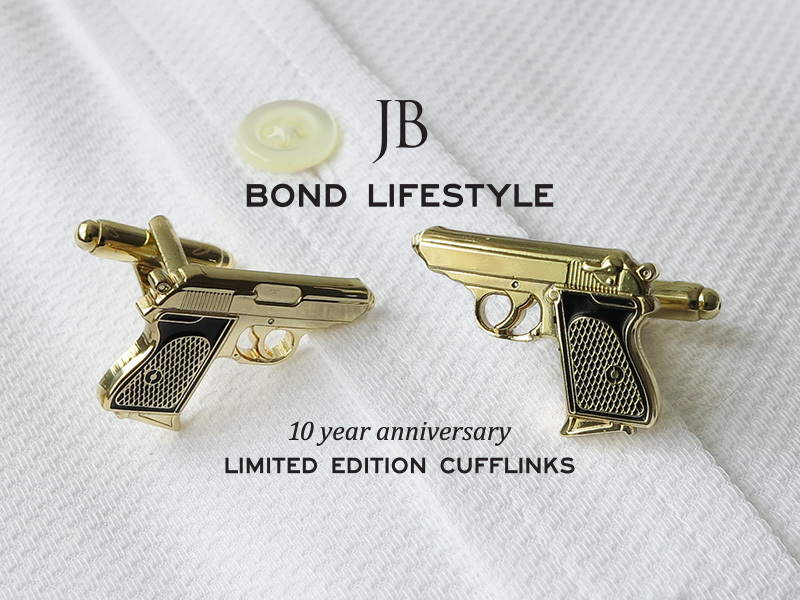 The cufflinks are custom-made, Limited Edition (100 pieces) Gun Cufflinks, gold-plated brass with black enamel. The cufflinks have two different front faces: a left and right side of the gun. The ‘Bullet’ back features a toggle closure for easy fastening. 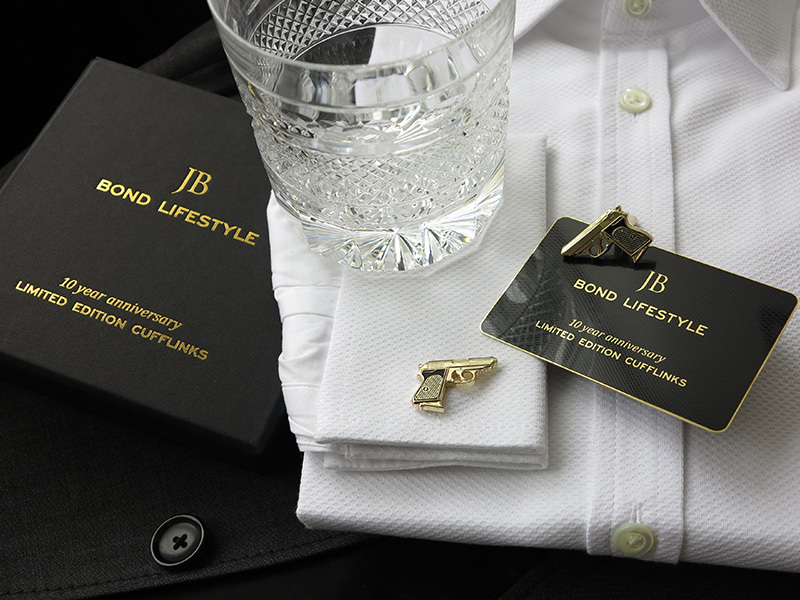 The cufflinks are exclusively designed and produced for Bond Lifestyle. 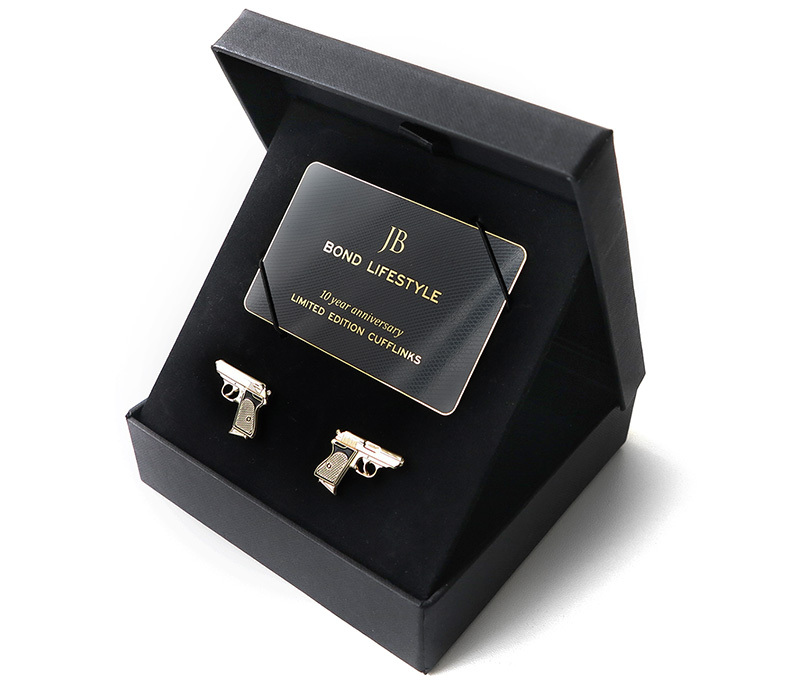 The cufflinks come in a custom made presentation box, hand-numbered (000 / 100), with a white protective outer sleeve. The box is made of extra think carton, adorned with gold foil blocked Bond Lifestyle logo on the front. The limited edition number is hand written on a gold sticker on the inside of the black box and again on the outside of the white sleeve. 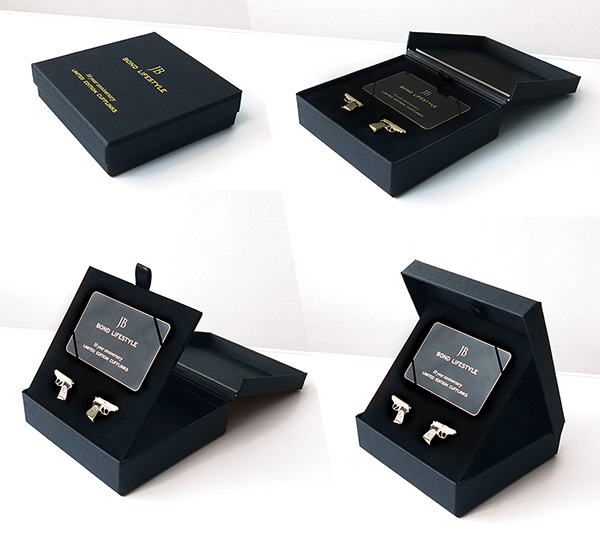 Inside the box you will find a luxury, thick gold-tone metal Certificate of Authenticity card with diamond shape gun grip texture, and a 16-page booklet with information and photos of the cufflinks. The cufflinks are presented on a mock velvet covered card, which can be lifted to a 45 degree angle to lean on the cover of the box, to put it in 'presentation mode'. The cufflinks are now available for £70 / €85 / $92 + shipping, click here to go to the order form or click here for larger images to take a closer look at the cufflink set. 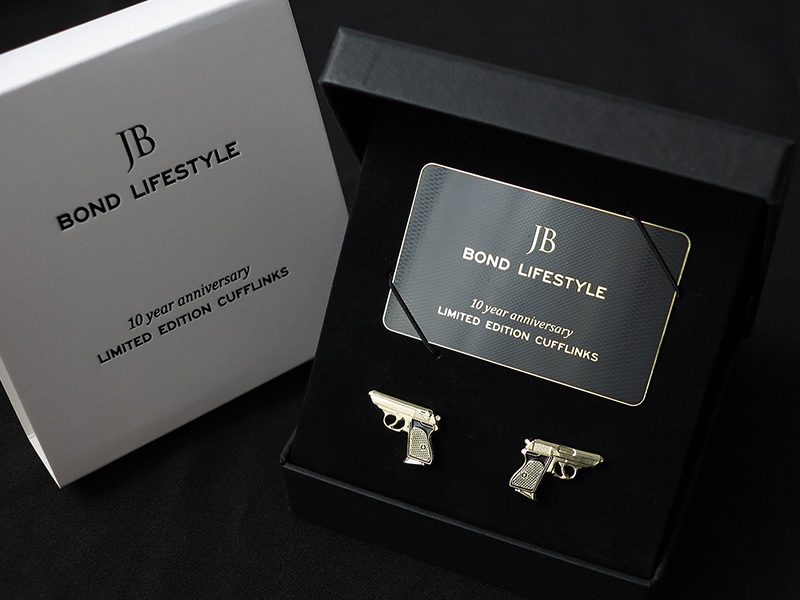 Read more about Bond Lifestyle's 10 year anniversary here and find out about the 4 Year and 5 Year anniversary limited editions.